Copy editors and their ilk often get a bad rap. If they exist at all in the public consciousness, it's as dour pedants with clothes covered in cat hair and the social skills of a houseplant. 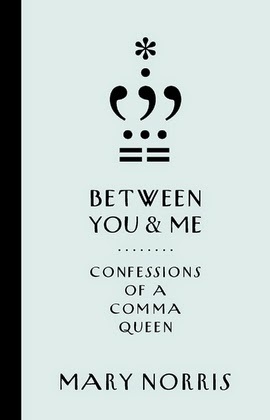 New Yorker staffer Mary Norris's new book, Between You & Me: Confessions of a Comma Queen, puts that image to rest. Not only is it a useful guide to English usage, with practical tips for even the greenest of language neophytes, but its humour and warmth shows that grammar can be a lot of fun, and that those who care about it can be the life of the party. Or so I hear. I don't go to parties. I stay at home with my cat, houseplants and books. We have a great time.